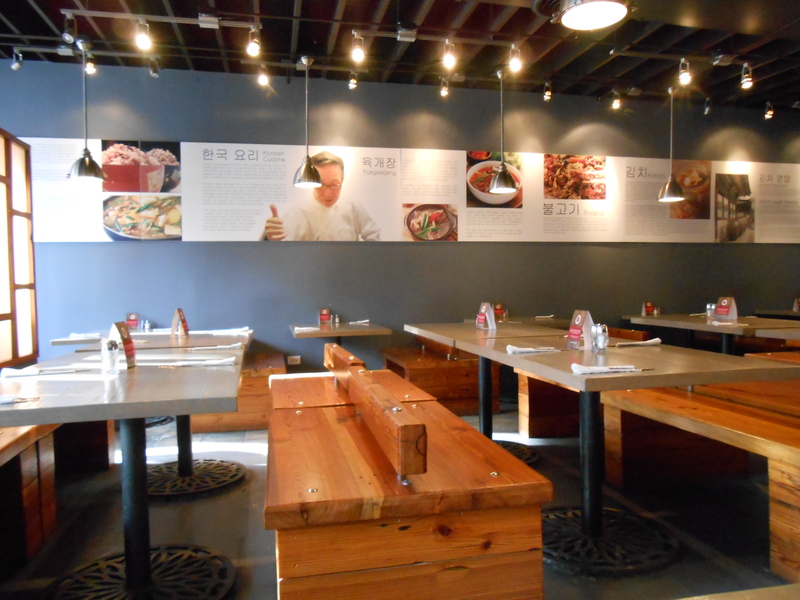 Ahjoomah’s Apron is located in Chinatown at 218 W. Cermak Rd. Ahjoomah’s Apron is a traditional Korean restaurant. The restaurant has along the wall information and history on a lot of the food served at the restaurant. 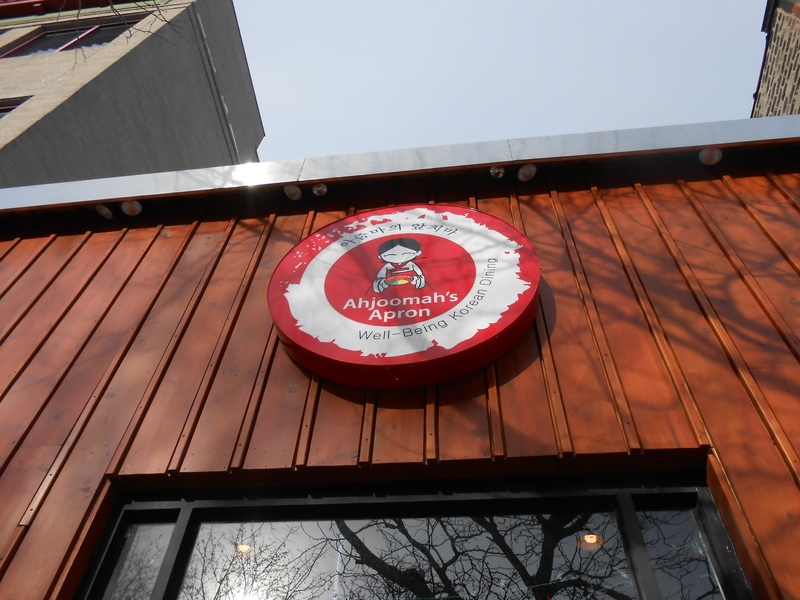 A friend and I went to Ahjoomah’s Apron for lunch. 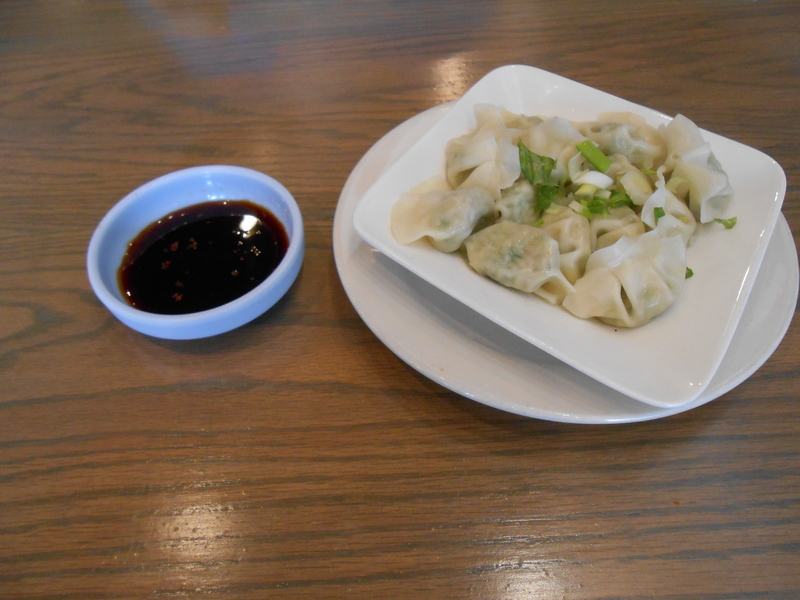 We ordered Mul-mandu as an appetizer while we tried to figure out what we wanted to try. Mul-mandu with soy based house sauce. 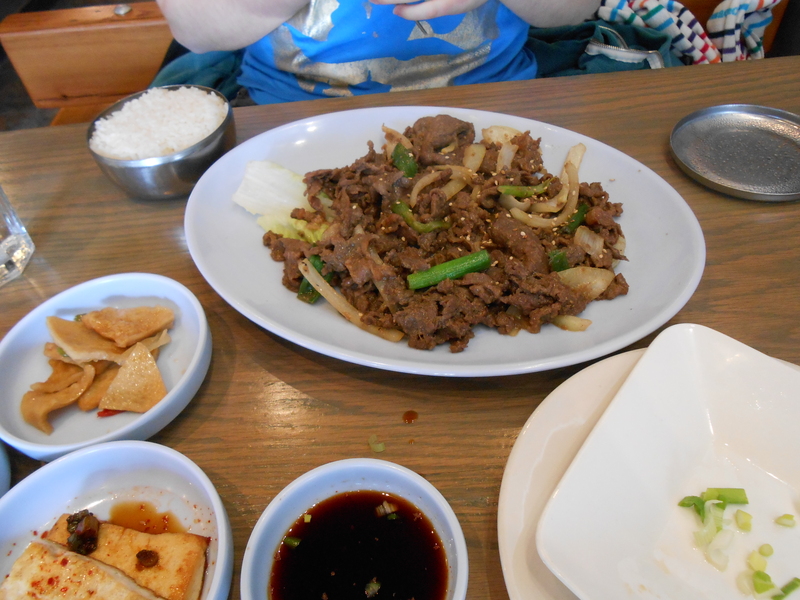 My friend ordered the Bulgogi Beef, it came with rice. I ordered the Dol Sot Bibim Bop. 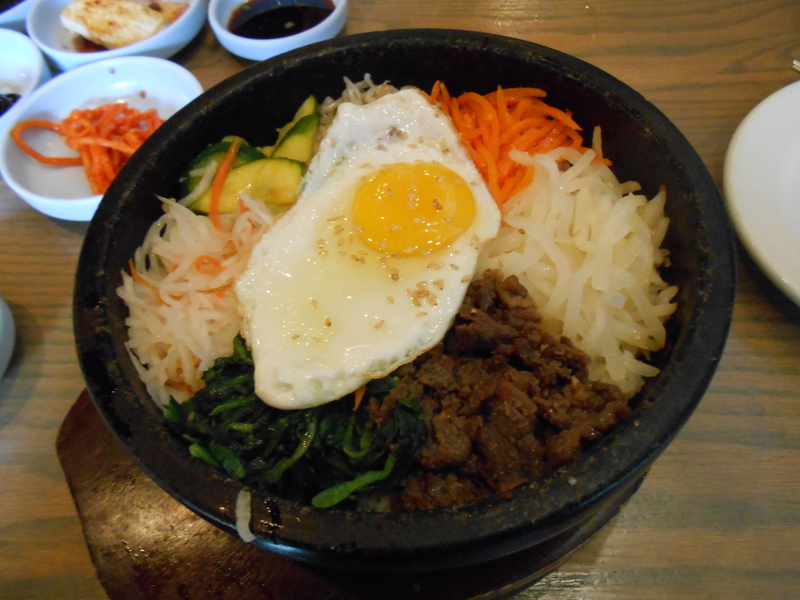 My meal was rice in a stone pot, coated with sesame, vegetables and an egg. It came out crackling and steaming, still sort of cooking. I mixed it all up and greatly enjoyed it. It came with a house sweet chili pepper paste that, since I have a low tolerance to spice I was happy came on the side. I mixed a little bit in and it wasn’t too spicy. Our meal came with seven sides. From what we understood we had kimchi (a spicy cabbage), beans, two kinds of tofu, some vegetables. 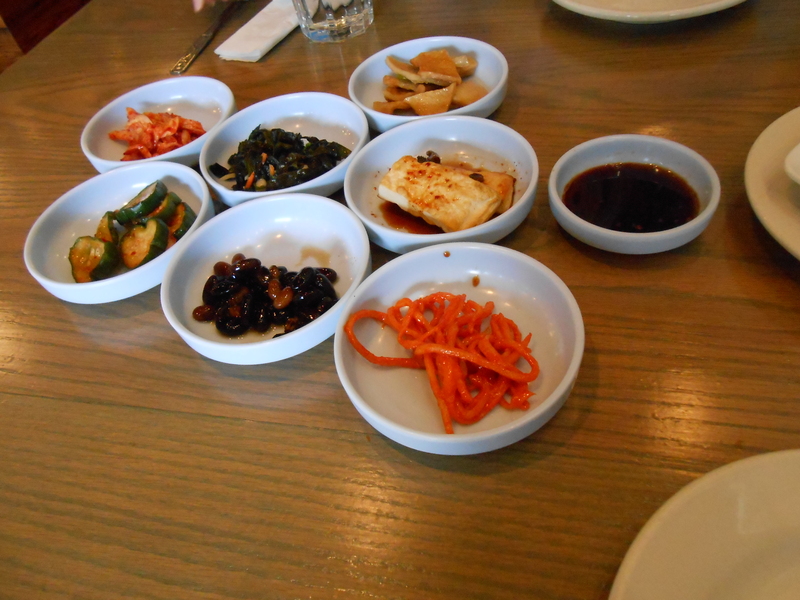 The sides are also called banchan and come at the same time as the meal.